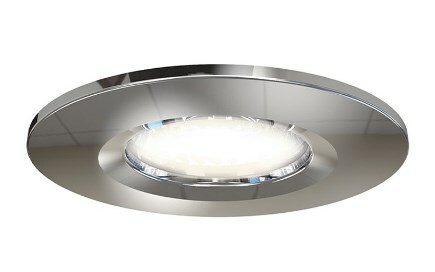 One of the questions we are getting asked is 'Can I change my low voltage downlights to LED Bulbs?'. The answer is yes, but with care. You can fit an MR16 12v LED reflector bulb that then is a direct replacement for the low voltage downlight. You do not need the services of an electrician, however MR16 12v bulbs are not always compatible with all transformers and the life of a transformer is not unlimited. With an individual transformer feeding each individual downlight. 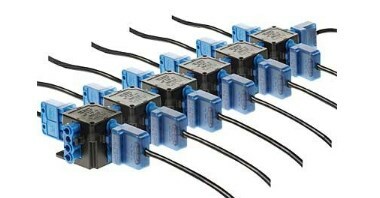 With a 100va or 150va transformer feeding 3 to 4 downlights. 1 big transformer feeding multiple downlights. The best way to change the bulb in downlights from low voltage 12v to LED bulbs is to remove the 12v transformer and feed 230v directly to GU10 LED bulbs 230v. 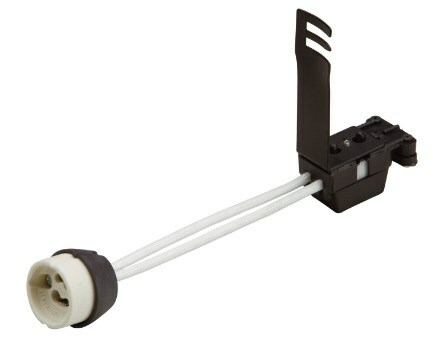 Assuming that you are going the GU10 LED route, if the transformer you are removing feeds mutiple downlights we recommend using the Click Flow system. It is inexpensive, easy to fit and makes it easy to change fittings in future. Retro fitting the existing downlights with GU10 230v LED bulbs or MR16 12v LED bulbs has the benefit that the existing downlights and decor are not affected. GU10 LED bulbs are very energy efficient and have a lamp life in excess of their low voltage counterparts. This means less maintenance and less re-lamping. GU10 LED bulbs run much cooler, meaning the air temperature surrounding the downlights stays cooler. Depending on the GU10 bulb selected they can be dimmed without the need for a specialist dimmer. Finally, leave changing from MR16 12v to GU10 230v to a qualified electrician. Although it is relatively straightforward there are safety issues wtih electrical joints between floors and should be left to the experts.